EXCEPTIONAL SEA VIEW. WE HAVE SATELLITE TV AND FRENCH GERMAN AND ENGLISH CHANNELS. FREE WIFI. PARKING INCLUDED.A GREAT AND BEAUTIFUL 600M2 GARDEN WITH BBQ TO ENJOY AND REST. La climatisation et le nettoyage ne sont pas inclus dans le prix. My rating of the property and owner speaks for itself I think. 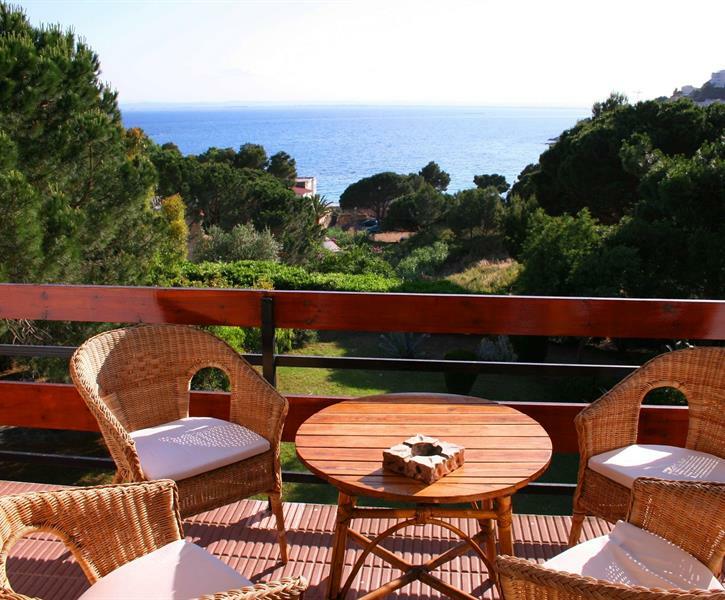 A delightful apartment with a fantastic view and in an ideal situation. I would highly recommend it to anyone thinking of visiting the Roses area and my party would certainly stay there again if possible in the future. A bit of a climb from the seafront but worth it for the view. This was a wonderful place to spend a relaxing week. Living in France we came by car and were happy that there was a garage to keep the car cool. Even in late September we had wonderful weather. The apartment was so well appointed, everything you could wish for and more. The apartment was fresh and very clean and beds very comfortable. Davi who look after the apartment came immediately we arrived to explain things to us and give us recommendations. Thank you. If you are looking for a place to stay in this area look no further. We shall definitely return.